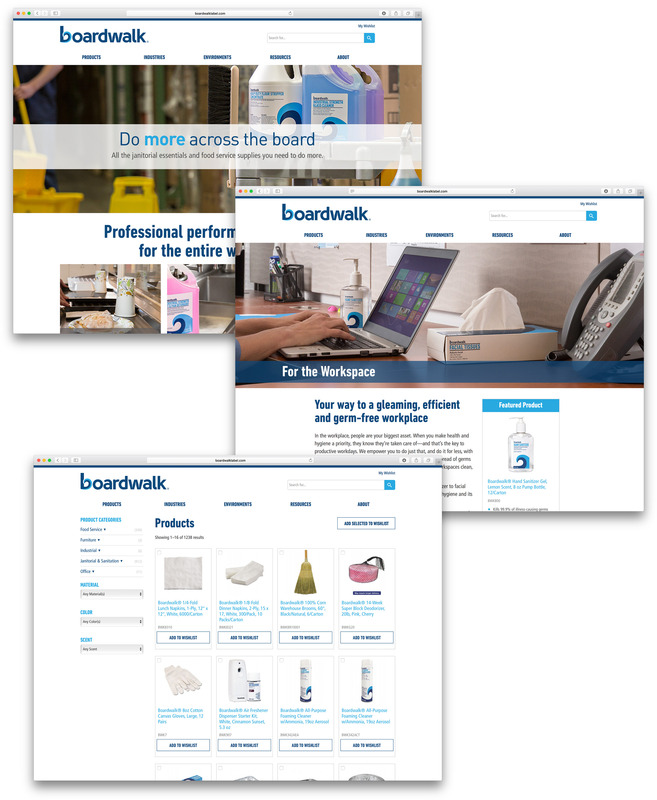 Boardwalk is a private label brand with over a thousand professional cleaning and food service supply products. It’s sold nationwide through tens of thousands of distributors and resellers. Two years ago, the entire Boardwalk brand was underperforming. Tired branding inconsistently executed across the product line had taken a toll and channel partners did not have tools to sell it effectively. The brand needed an overhaul, and it got one. 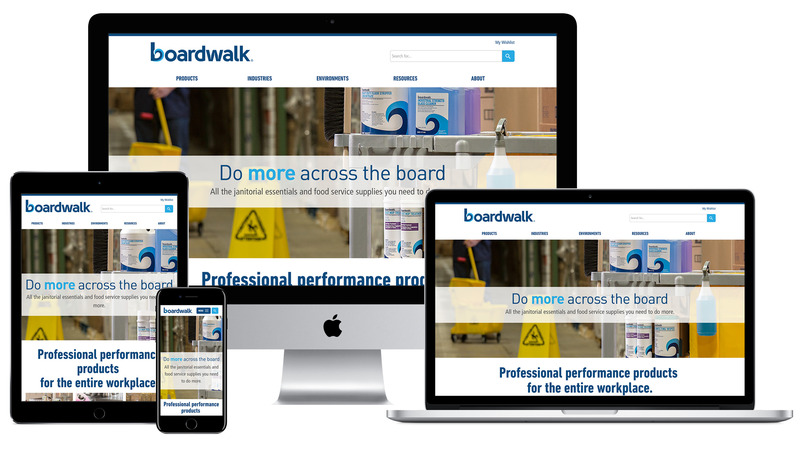 We reinvented the Boardwalk brand with a new visual identity, a fresh personality and messaging, and entirely new positioning to resonate with a wider customer base, including a growing number of millennial buyers. The rebrand was just the beginning. 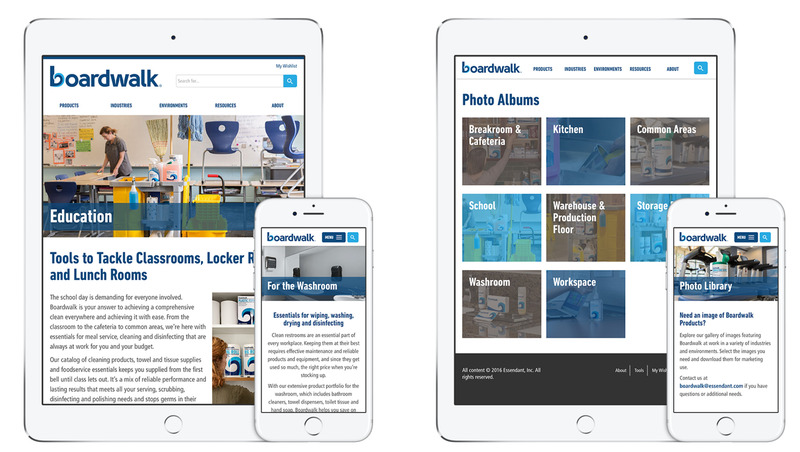 We needed to convince channel partners to sell and promote the Boardwalk brand. We started with a robust new website, putting the brand story front and center with easy access to the extensive product portfolio. We painted the picture of the brand at work in a variety of industries and environments. We created digital marketing kits for channel partners to easily promote the brand in their own markets and built a resource center of tools for nearly any selling situation. Watch for the new Boardwalk coming to your supply closet.